2006 - 3 song 7"
These singles are pressed on blue and yellow colored vinyl and include a bonus CD of out-takes and live versions. The CD also includes the songs from the 7". 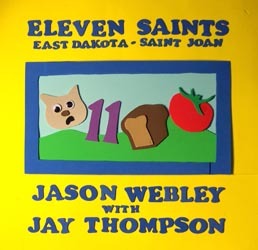 All songs (C)2006 by Jason Webley and Jay Thompson.